Don't go at your legal issues alone, hiring an experienced attorney is crucial to getting what you deserve. Facing a legal matter is never easy, even under the best circumstances. There are difficult questions to answer and procedural decisions to make in every case, whether you’re considering divorce, making an injury claim, or facing criminal charges. Add the emotional stress of knowing the choices you make now could affect you for the rest of your life, and it’s easy to understand how people are derailed by legal issues. If you’re in a situation where you think you need a lawyer, you do need a lawyer. An experienced Orlando divorce lawyer will keep you on track, moving forward toward a positive resolution of your legal concern, and a brighter future at the end of the tunnel. Our goal is to help clients overcome adversity. We work together as a team on every case to ensure our clients receive the benefit of each of our strengths. We always strive to get the most work done for our clients, and put in the time necessary to satisfy our clients’ economic and emotional goals. We work with our clients and the opposition to negotiate favorable outcomes to difficult situations, but we won’t hesitate to litigate to protect our clients’ best interests. We maintain communication and accessibility, keeping our clients informed with updates and responding promptly to any questions. We understand our clients need support and guidance as well as aggressive advocacy, so we provide personalized attention and carefully considered advice. Please explore our website to learn more about your specific legal concern and our approach to handling a variety of family law, personal injury, and criminal defense matters. We work to get the best results for our clients with the least strife. Many people collapse under the pressure of divorce and other difficult legal matters, like a serious car accident or an arrest. We believe an important part of providing effective legal representation is to lighten our clients’ emotional burdens and help them rebuild their lives. Our Orlando divorce lawyers provide local representation and care about each of our clients individually. From complex divorce matters – like those involving high assets, timesharing disputes, or relocation – to car accidents and wrongful death cases to criminal charges, we will treat your case with the care and consideration it deserves, and you deserve. We understand that when you need an attorney, it usually is not a choice—you need representation for a family issue, someone injured you, or you made a bad decision or are a victim of circumstance. 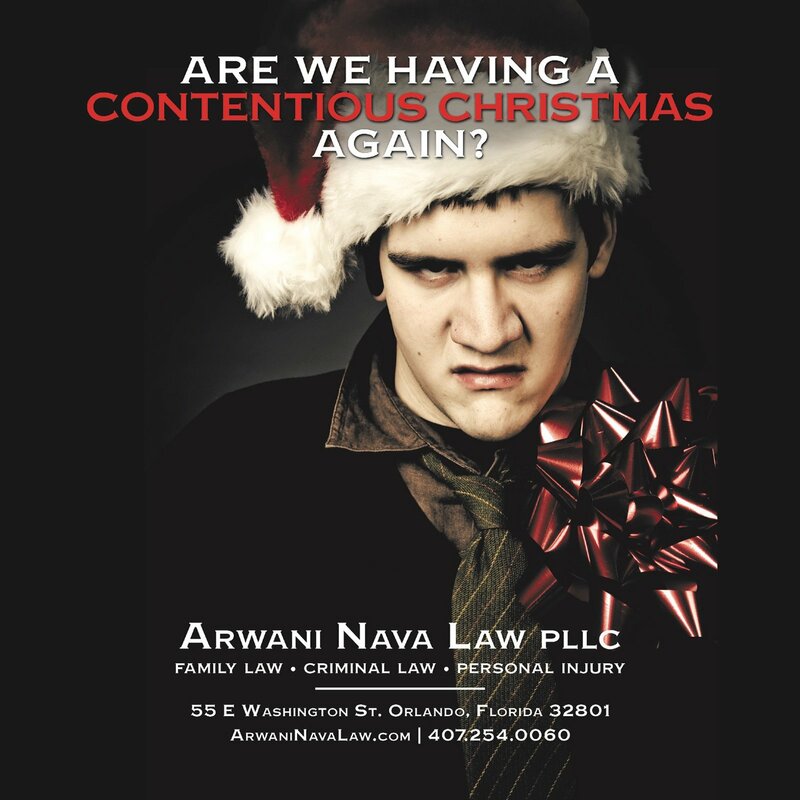 You can count on the Orlando family lawyers at Arwani Law Firm to stand by you and see you through your legal matter until it is completely resolved. There are two sides to every story. Let us tell yours. One similar aspect of all our practice areas is that there are always two sides to every story. In divorce, there is each spouse’s take on the marriage, which are often very different. After an accident, there is the injury victim’s retelling of events, which the insurance company will attempt to discredit. In a criminal case, the prosecution will paint a picture, which the defense must erase and redraw. You need a lawyer to tell your side of the story to get the ending you want. 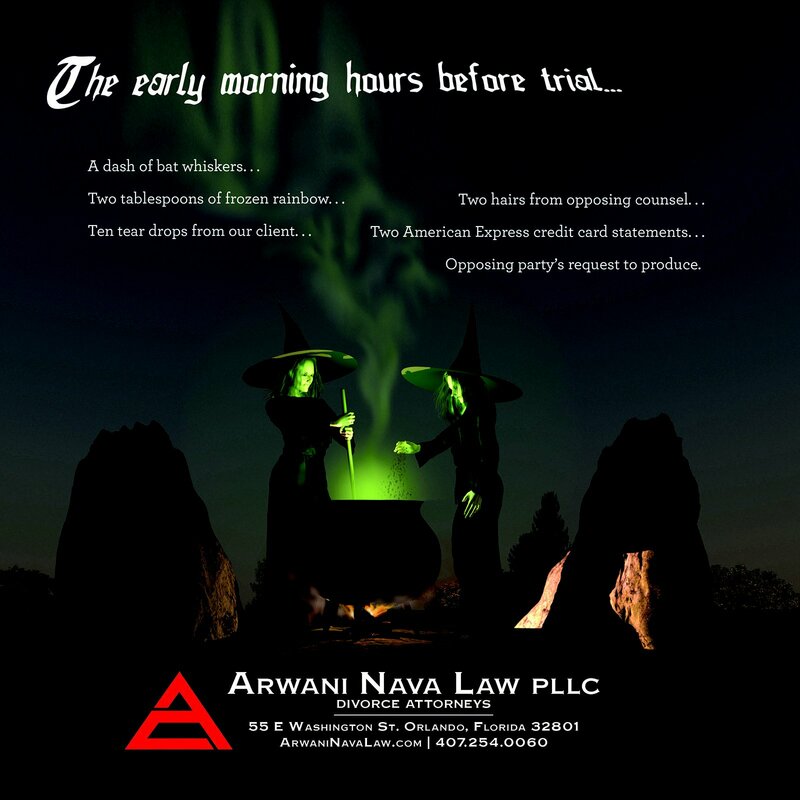 That’s what we do at the Arwani Law Firm . 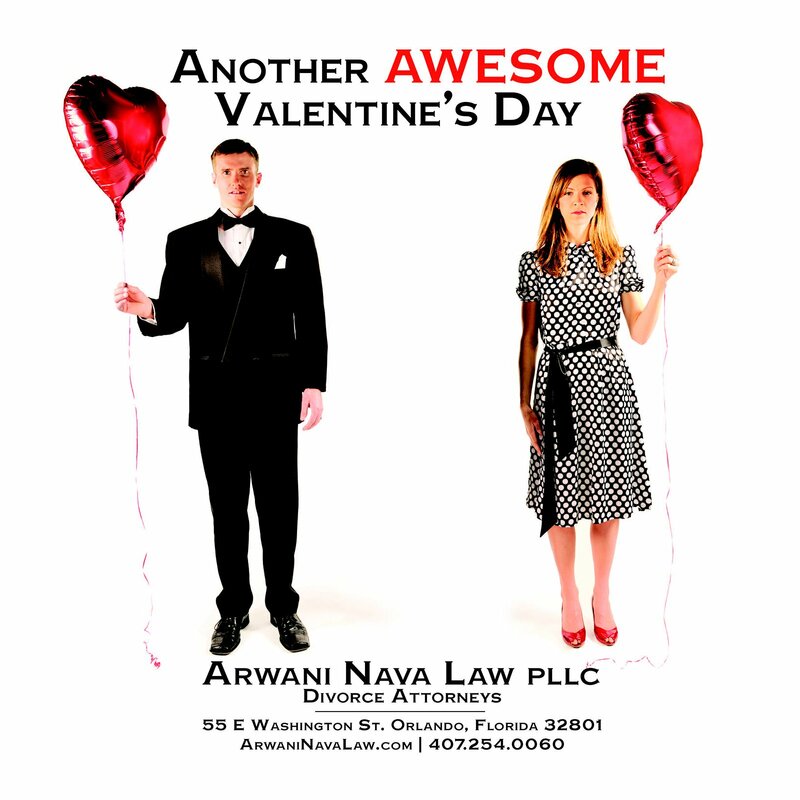 Let our Orlando divorce lawyers tell your story with passion, persuasion, and your happy ending as our ultimate goal. I needed help in a bad and quick way. I called Rania’s office and within a couple of hours they saw me and heard my story regarding my child custody battle. That afternoon, they told me what they suggested for me and my situation. By that afternoon, I hired them. Rania and Lacy have not fallen short of any of the early expectations they had initially discussed with me and I couldn’t be happier with their performance, suggestions and advice. Rania Arwani, earned her B.B.A. in Finance at the University of Texas at Arlington prior earning her law degree from Barry University School of Law, and is the Managing Attorney of the Arwani Law Firm. Ariel Niles is an associate with Arwani Law Firm, focusing her practice exclusively on family law. As a former Staff Attorney for the Eighteenth Judicial Circuit Court in and for Seminole County. Ariel has experience in family, civil and appellate matters. Michael Sigman received his J.D. degree from American University. He was awarded "Best of the Bar" by Orlando Business Journal and and recognized by the Million Dollar Advocates Forum for outstanding achievment. John Notari acquired his J.D. degree from Cooley School of Law and his B.S. degree from University of Scranton. He has been a Personal Injury, Criminal Defense, and Appellate Attorney in Orlando, FL for 22 years. 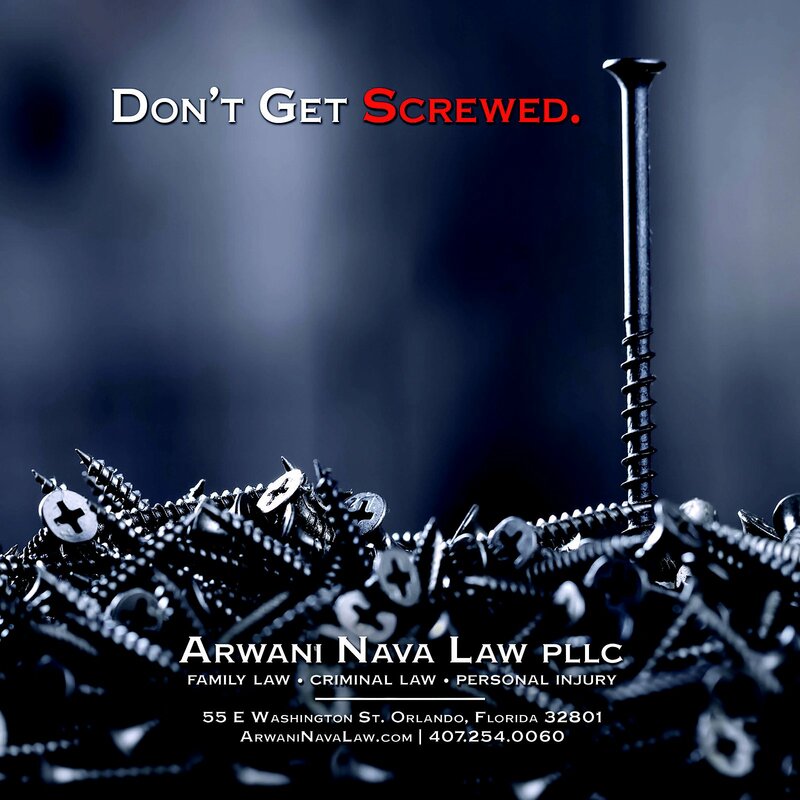 At the Arwani Law Firm, our attorneys will work together to get you the best possible outcome in your case, while treating you with the utmost respect and compassion. When you meet with us, you’ll see we love what we do, and you’ll feel that enthusiasm as we work through your legal matter. 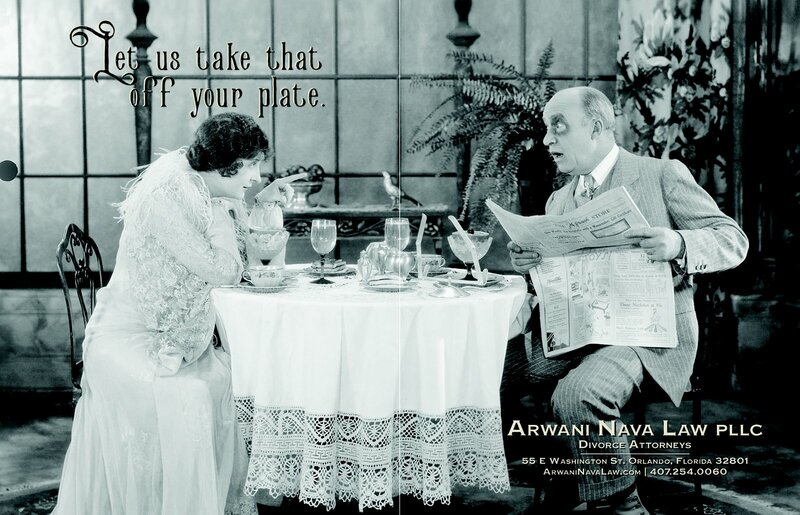 I acknowledge that contacting Arwani Nava, Attorneys at Law, through this website does not create an attorney-client relationship and information I send is not protected by attorney-client privilege.